You are very important and Lorenzo will open doors that would normally remain closed just for you. He will surprise you by creating exclusive itineraries and private tours, suggesting the right places to see and other amazing experiences. He will see to all the details to ensure that your experience runs smoothly and your guided tour is free from stress. Why should you choose Lorenzo to guide you? He will surprise you by creating exclusive itineraries and private tours, suggesting the right places to see and other amazing experiences. 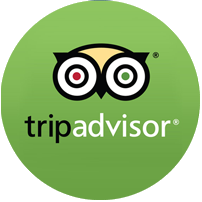 He will see to all the details to ensure that your experience runs smoothly and your guided tour is free from stress. Lorenzo will guide you through the Temple of Juno, the Temple of Concordia, the Temple of Hercules and the ruins of the Temple of Zeus…a tour full of mythology and curiosity. Walk along the sacred hill, among almond trees, agaves, prickly pears and centuries-old olive trees. Lorenzo’s intimate knowledge of the archaeological area and his attention to your needs will ensure a perfect visit. The tour visits the beautiful districts of Old Agrigento, exploring the neighbourhoods of the town, with their narrow streets and overhanging washing. The area includes the cathedral, medieval monasteries, baroque churches and the elegant Via Atenea. Today, the road is filled with fashionable shops. Lorenzo will reveal to you a variety of stories and anecdotes…the town’s hidden identity will be exposed! “I am Montalbano!” Montelusa, Vigata, Marinella: discover the places which have inspired Andrea Cammilleri and where the adventures of Italy’s most famous police detective are set. We will follow Inspector Montalbano’s steps through the places he visits tailing suspects and solving crimes: the police station, neighbourhoods, districts, houses and the splendid beaches of Agrigento’s golden coast. If you would like to plan your customized itinerary, book a tour, or have any queries, Lorenzo is available to assist you. Please provide any details that can help Lorenzo to create an exclusive experience devised just for you. Lorenzo Capraro from Agrigento Experience was undoubtedly the best guide we had in Sicily. He is not only incredibly knowledgeable about the Valley of the Temples, he is quite obviously passionate about his subject and that passion is infectious. He is also a very intelligent, caring person with a ready smile and a good sense of humour. I know he speaks several languages and his English is excellent. It was a delight to be with him for 2 1/2 hours in the Valley. I don’t need to tell you how wonderful the Valley of the Temples is. It’s a must if you are in Sicily. However, having Lorenzo guide you will give you an incite into the people you lived there and built the temples like no one else can. As another reviewer said, “Please do not miss the chance to have Lorenzo”. © 2016 agrigentoexperience. All rights reserved.